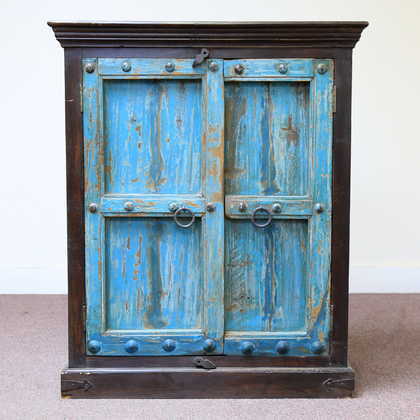 Two-door cabinet with traditional carved doors. 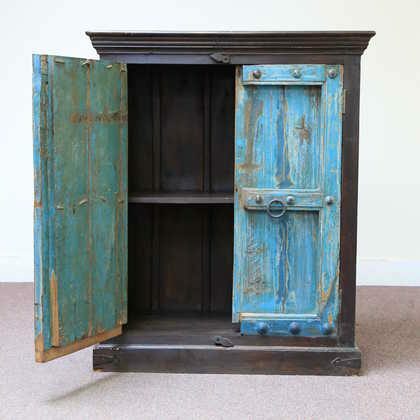 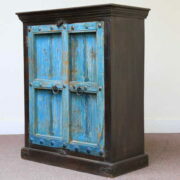 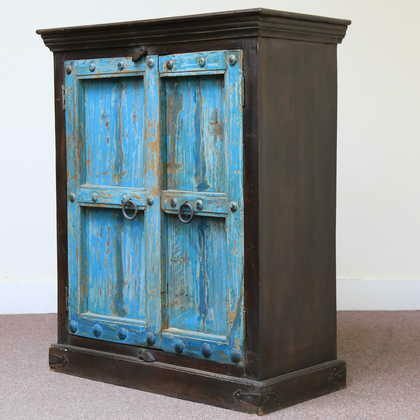 A spacious and dark-coloured two-door cabinet made from solid mango wood, with stunning blue carved doors in a traditional Rajasthani style. 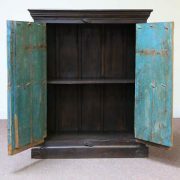 It’s functional, versatile and well-made with one internal shelf, and nice ring handles and studwork. This is a statement piece that would be ideal as a drinks cupboard, or for glasses, serving dishes and other storage. 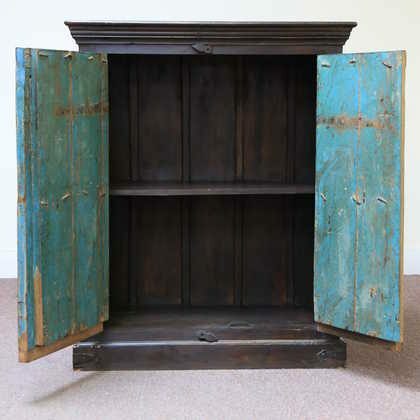 Mango wood is one of the most sustainable woods as it is faster growing than other hardwoods.